As far as French property prices are concerned, the Ariège region, which has historically had a very stable (and incredibly good value) property market, is seeing a gradual rise in prices. Last year, the Ariège had one of the largest property price rises in France according to the association of Notaires in France. This is perhaps down to the fact that foreign buyers have started to discover this beautiful region and all it has to offer. 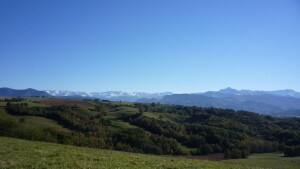 Buyers daring to cast their nets that little bit wider have discovered what beautiful properties, fantastic opportunities and great value is still to be had in the Ariège. So much so, it is threatening to become the property hotspot for 2015. Property here is still very affordable, but that may not continue for much longer. Top of the property wish list of those looking to buy in the Ariège are stone-built farmhouses which are still to be found for attractive prices. These properties usually have great views with the Pyrénées as a backdrop and are generally positioned to make the most of the summer sun and protect from the winter chill. Built from stone, they are usually spacious and come with outbuildings and a good amount of land. For those wanting a project, it is also still possible to find plenty of houses needing renovation here which is becoming more difficult in other areas of France. In addition, many investors are looking to buy property large enough to run holiday accommodation – interestingly, the Ariège must be one of the last few remaining areas of France where there is actually a shortage of holiday letting accommodation, particularly close to St-Girons. Setting up a gîte or bed-and-breakfast with your new French property may prove to be a very sensible business decision and offer good returns on your investment. For everyone interested in mountain sports, it is still possible to buy a wooden shepherd’s hut in the mountains, minutes away from the ski slopes and walking and biking trails and complete with stunning views. Agriculture has always played a crucial role in the economy of the Ariège and thus the valleys and hills are dotted with their characteristic stone barns with the typical ‘ardoise’ slate roofs. Nowadays, many of the barns have been converted into lovely, characterful homes or into luxury ski chalets but there are still a few unconverted barns available for sale although these properties are becoming more and more sought after. 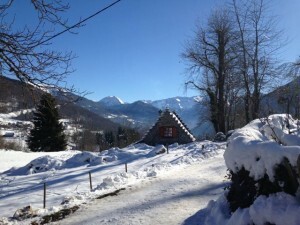 However, that dream of owning a chalet or mountain retreat is still achievable in the Ariège… at the moment.